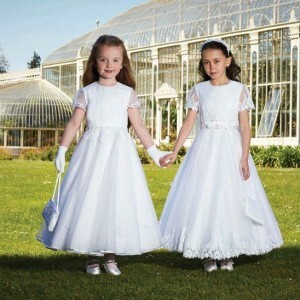 Coventry & Warwickshire’s largest collection of Holy Communion Dresses, Tiaras, Veils and Accessories for your little angel. 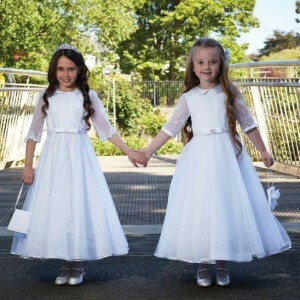 We’ve been supplying Holy Communion dresses to young ladies in Coventry for the last 20 years. 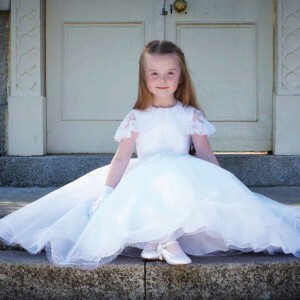 Having moved to our larger premises, only 10 minutes away, in Brinklow, we look forward to welcoming little ladies from Rugby, Hinckley, Northampton & the surrounding areas & helping them to choose the perfect dress for their special day! We’re just showing a handful of images of our dresses, as we have in excess of 70 styles in store to try on. 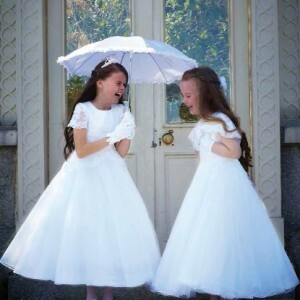 Please note: Exclusivity – We promise not to sell the same dress to anyone else from your school/church.